Experience the moment, uncover your authentic self, live your best life. At Sierrah Acres, we offer Equine Assisted Learning (EAL) sessions that involve spending time with, and working alongside the horse to achieve new grounds in your self awareness, personal growth, healing and development. You will be guided by a certified Equine Assisted Personal Development (EAPD) Coach through specifically designed and mainly ground based, interactive exercises with the horses. Taking great care in personalizing these sessions to the varying needs and comfort levels of each individual is at the forefront and our specialty. Through our initial conversation and registration process, valuable information is gathered in order to provide every participant with the outmost benefit to their time spent in either our private session work or our group programs. We offer single visits, occassional repeats or a series of 4-8 consecutive skill building sessions. Assistance in selecting which is the most appropriate choice for you and your needs is supported through our intake process. 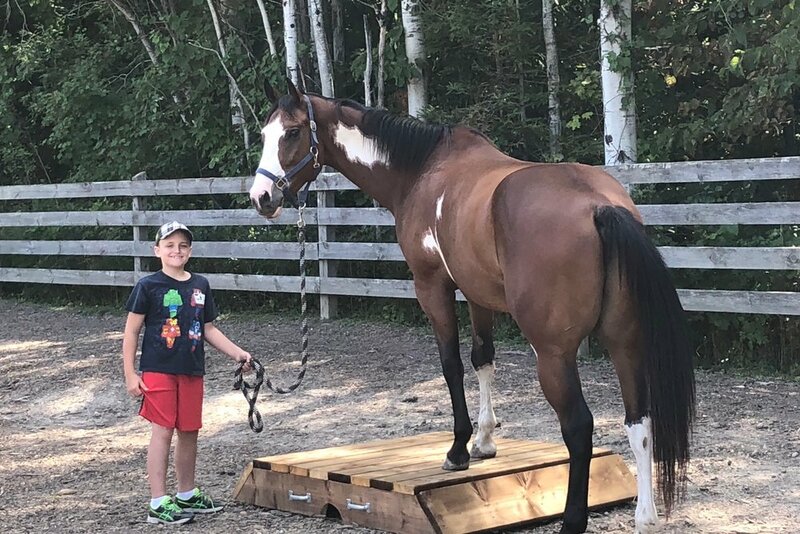 Every single moment spent naturally, in the existence of horses and in our Equine Assisted Learning environment at Sierrah Acres presents an opportunity for self discovery and positive growth in a unique and eye opening way. Allow the human to be your guide, and the horse to be your teacher, for some outside-the-box thinking and an enjoyable experience you won't soon forget! One-on-One sessions, Families, Couples, Corporate Groups, Support-for-Supporters. Complimentary meet-and-greets at Sierrah Acres are available by appointment.